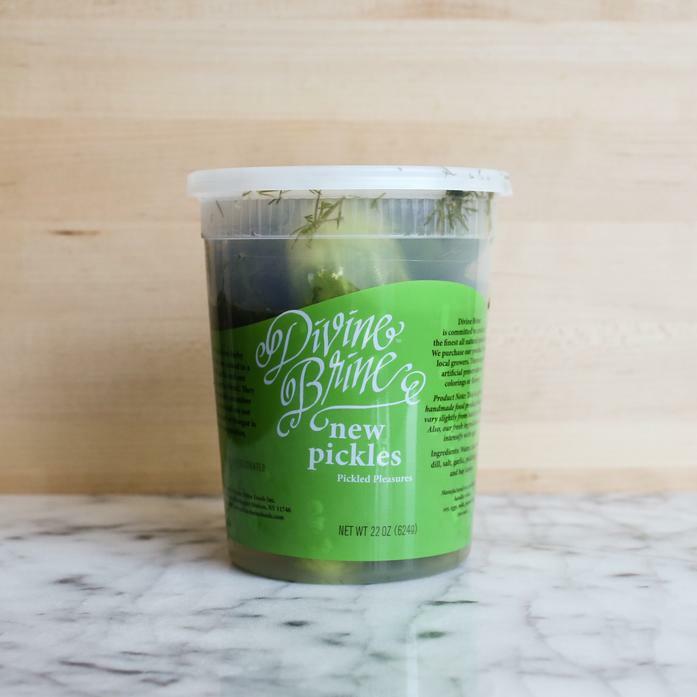 These fresh and crunchy new pickles are kirby cucumbers soaked in a brine of dill, garlic, and special pickling spices. Each order contains 1 32 oz container. Containers must be refrigerated.